I was browsing through Instagram a while ago when I came across what looked like a mini version of the sigma makeup glove. This cute baby happened to be a brush washing tool called the Brushegg. I had looked up a few people who sell here in Nigeria , but it was out of stock. A while later, my friend Dolapo put up a picture on her bbm , and it was the Brushegg! She had for sale and I told her to keep one for me. Luckily for me she, exhibited at the Easter Beauty A' Fair, and the price had been slashed, so I gladly picked up 2. 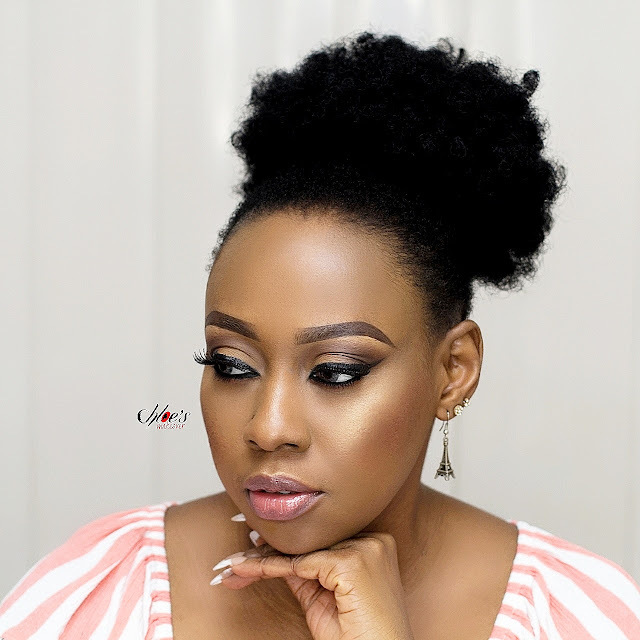 I didn't waste anytime at all, I gathered all my makeup brushes and put the brushegg to the test. 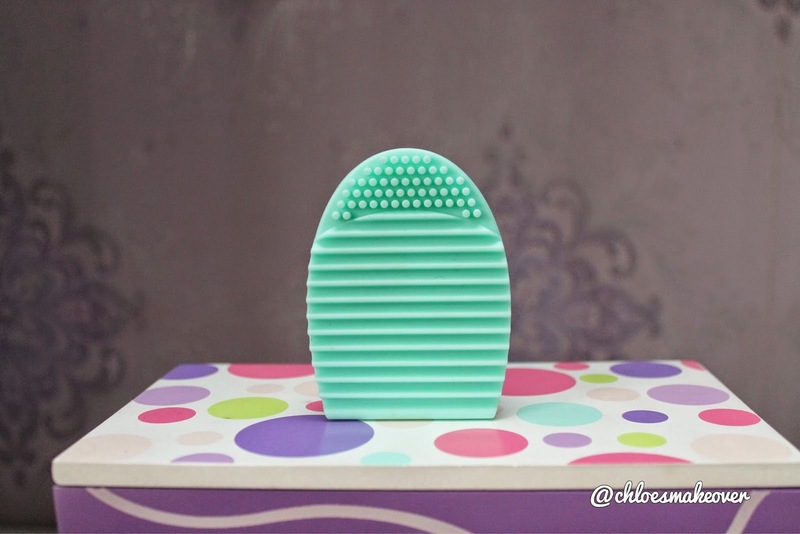 The Brushegg is a quick , simple and fun way to effectively clean your makeup brush collection. This high-grade silicone scrublet and compact design consists of soft textures ideal for both brushes and sponges. 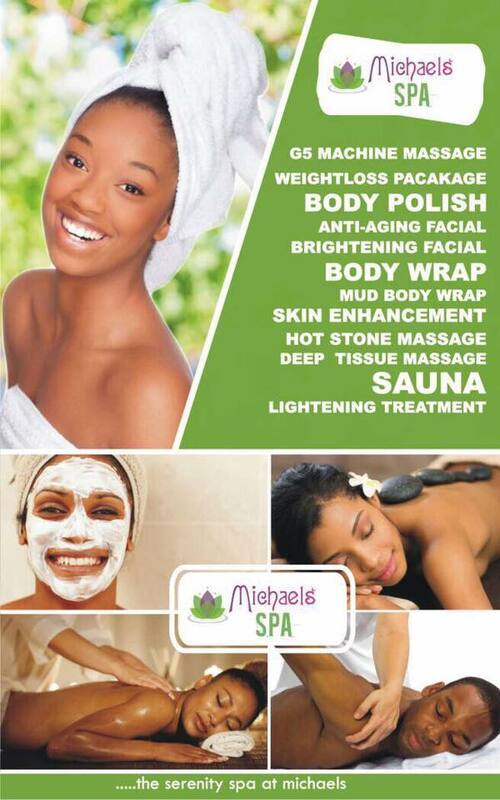 Now you can finally enjoy the process of cleaning your brushes and prolong the longevity of your brushes. The Brushegg is available in pink, mint, purple and black. You will never procrastinate washing your brushes again. The picture below shows the dirty brushes just before I washed them. In the sink is a bowl of water, and inside the water I put some Hegai & Esther Brush Shampoo and half cap of Dettol disinfectant. At this point, I have washed all the brushes lying in the sink, now can you notice the dirt coming out of the brush I am washing here? Once the lather on the Brushegg changes from black or brown to white, you would know the brush is dirt free. All you have to do now is rinse thoroughly. I have never used any tool to wash my brushes before now, I simply use the palm to lather up the bristles and rinse thoroughly. This method takes alot of time, and your fingers and hands just get swamped!!! 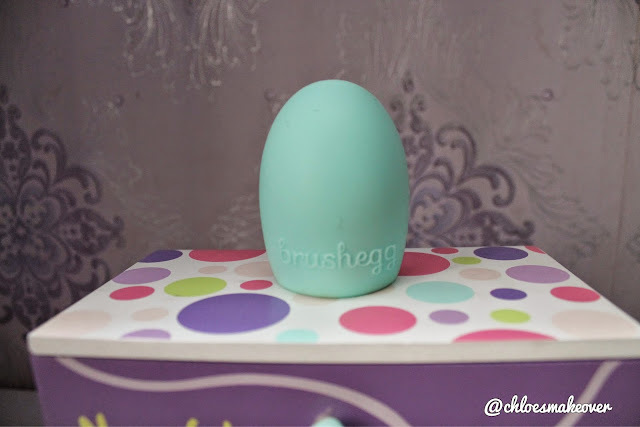 The Brushegg fits snugly into my fingers, while running my brush over it with my other hand. It works like a dream, very easy and fast to use and gets the brush clean in no time. It has 2 surfaces for cleaning different brushes: The lined surface for big brushes like your powder brush and the dotted surface for small brushes like your eyeshadow brushes. One thing I noticed with the Brushegg is that,it tends to slip off the fingers and the reason this happened was because I dunked it into the soapy water. You can avoid this by holding the Brushegg right under the running water to avoid too much lather causing it to slip off the fingers. The only brush that proved a little stubborn was my Real Techniques Powder brush, the bristles are very full that even the lined surface of the Brushegg struggled a little . I had to remove my fingers from the Brushegg and hold it with my hand to wash the brush thoroughly. Never dry your brushes upright with the bristles facing upwards. The water will trickle down into your brush and damage it. Also never use hand dryer to dry your brushes, that too can damage them. Instead give your brushes plenty of time to air dry on a flat surface like a dry towel. The Brushegg really works, makes cleaning brushes very easy to do and now I shall look forward to another wash day. I am very impressed with it and I am glad I actually bought it. 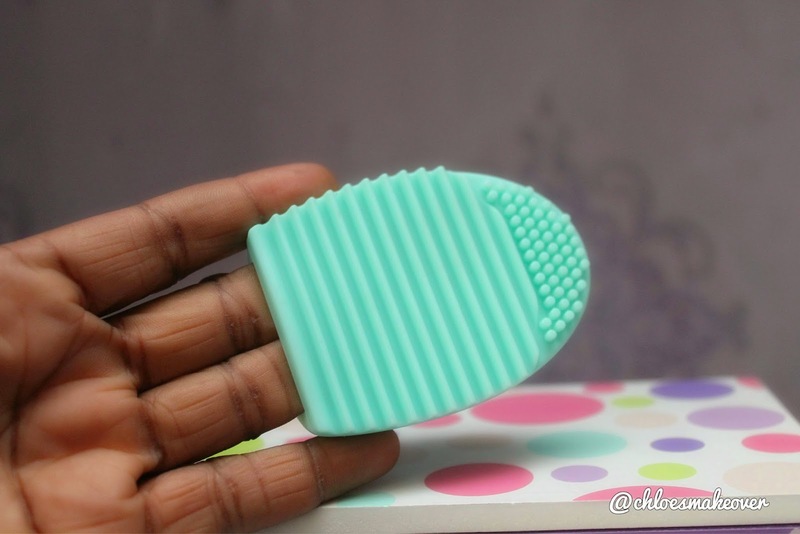 The Brushegg is well- priced so all makeup lovers and users should have one. And now to the Giveaway!!!! One lucky person would win the pink Brushegg. This is a totally random giveaway. All you have to do is comment here and simply say you want the Brushegg, leave your email address too. The 3rd comment is the winner, and the winner would be responsible for pick up. If after 1 week you don't claim it, I would have to give it out to someone else. That's all folks, till my next post.... stay beautiful. Lol. In as Much as it is stated that the 3rd person to comment would be the winner, and Here I am, commenting first. I have fate tho, that I would be the winner irrespective of what number I am.